Three episodes in, it’s becoming clear that Doctor Who season 11 is fixing a lot of long-term problems with the franchise. The BBC’s longest-running science-fiction series started in 1963, after all, and each regeneration effectively serves as something of a relaunch. In the case of season 11, the relaunch is all the more dramatic. 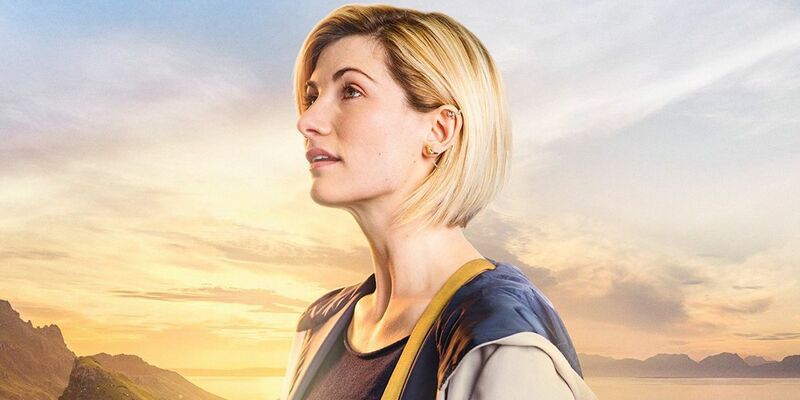 New showrunner Chris Chibnall seems determined to breathe a new breath of life into Doctor Who, and he’s done that by turning the series on its head. 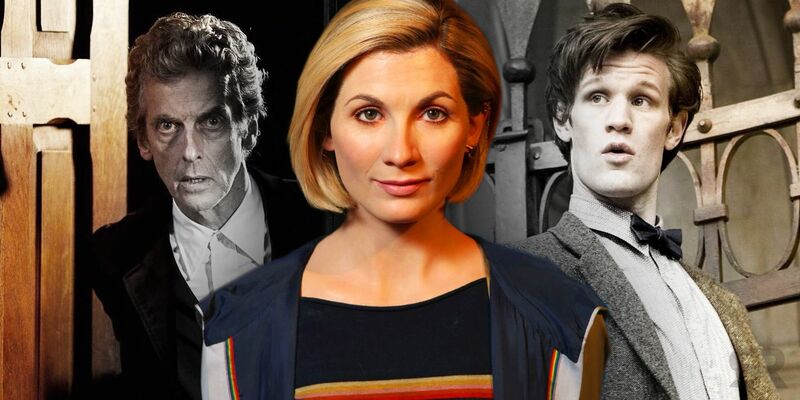 The most visible change of all is, of course, the first female Doctor. The idea of a female Doctor was really first introduced when Tom Baker was stepping down back in the ’80s. Speaking in a press conference announcing his departure, Baker quipped that he wished the new Doctor – “whoever he or she may be” – the very best of luck. What began as a joke has turned into reality, and Doctor Who is all the better for it. But after three episodes of Doctor Who season 11, it’s clear that the changes Chibnall is making aren’t just cosmetic. He’s identified some major background issues with Doctor Who and is carefully adjusting them – and in doing so, transforming the series for the better. Let’s take a look at some major examples. Let’s start with the Doctor herself. In the classic Doctor Who, the Renegade Time Lord was essentially a maverick, a sort of cosmic do-gooder who wandered from crisis to crisis. Although the Doctor always had an ego, he tended to keep his head down and took pleasure in the fact nobody really knew who he was. Stories would frequently feature lengthy plots in which the Doctor attempted to earn people’s trust, and he was often underestimated by his enemies. It’s true that return villains like the Daleks soon gained a healthy amount of respect (and even fear) for the Doctor, but to the rest of the universe he was just a random stranger who turned up when mayhem ensued and vanished afterwards. The Doctor Who relaunch, however, lost that element. In part it was for story purposes; because this new series didn’t feature as many multi-episode stories, it needed certain plot devices to speed things up. One major plot device that helped was the idea that the Doctor had built up something of a reputation, meaning he could just say who he was and take charge. Over the years, that reputation has grown to the point the very word “Doctor” was inspired by him, that the sound of that battered blue police box materializing has inspired hope to countless worlds. From the end of the David Tennant era, through Matt Smith’s run and on into Peter Capaldi’s, the Doctor has been able to stride into a situation and explain himself by simply saying, “I’m the Doctor.” Matt Smith’s first episode even had him scare the Atraxi into leaving Earth alone forever simply by identifying himself. But this approach risks stripping the Doctor of his/her complexity as a character. The Doctor becomes a cosmic force of nature, an “Oncoming Storm” as the Daleks call him/her. So Chibnall has chosen to step back from this approach. He’s deliberately introducing brand new villains like the Stenza, alien races who have never crossed paths with the Doctor before and so have no idea what to make of her. When the Doctor does encounter beings who could reasonably know who she is, she avoids giving her name at all; “Rosa” featured a time-traveler who knew a lot about Time Lords, even recognizing the TARDIS for what it is, and as a result the Doctor avoided introducing herself. She preferred to be underestimated. It’s a return to Doctor Who‘s roots, an approach that allows the series to explore smaller-scale adventures without it feeling as though these villains couldn’t possibly be a threat to such a powerful, potent being as the Doctor. After all, so far the series has featured a lone alien hunting a random human in Sheffield, and a rogue white supremacist time-traveler attempting to rewrite history by making sure Rosa Parks doesn’t get arrested. The scale is very different to what audiences become used to through the Smith and Capaldi runs. Whether fans like to admit it or not, the female companions were very much eye candy for the male viewers, just as in the original series. Meanwhile, Doctor Who didn’t really shine through in terms of diversity either. As Constance Gibbs observed in a powerful (and heart-wrenchingly personal) article on Polygon, the show didn’t get its first black companion – the bumbling Mickey Smith – until 2005. Martha Jones lived in Rose’s shadow for an entire season, and then was unceremoniously dumped because she wasn’t resonating with the viewers. 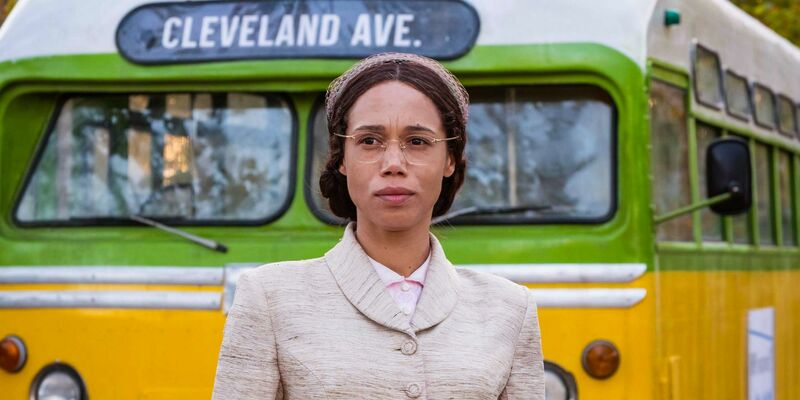 Season 10’s Bill Potts was a ground-breaking step in the right direction, though, and it seems Chibnall is determined to continue down that road. 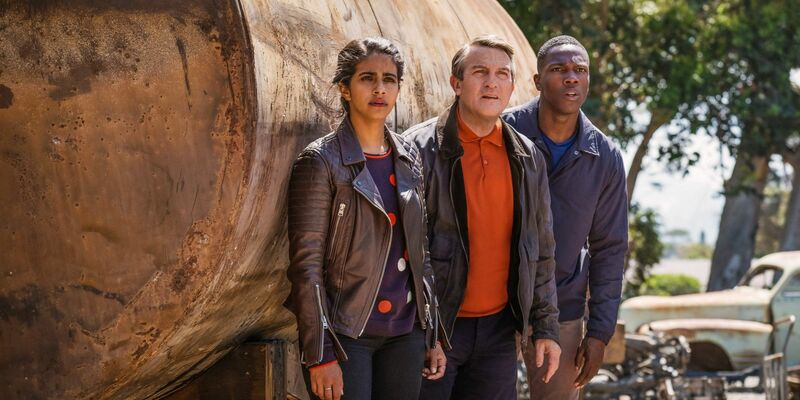 We have the most diverse TARDIS crew we’ve ever seen, and the scripts seem determined to explore just what that means (the run also has the show’s first ever writers of color). But Chibnall has insisted that Graham, Yasmin, and Ryan aren’t the Doctor’s companions; they’re her friends. Their lives don’t orbit the Doctor’s in the way we’ve seen with previous companions; they all have their own character arcs going on, from the awkward but evident attraction between Ryan and Yas to the difficult relationship between Graham and Ryan as they both struggle to deal with their grief. The Doctor is almost incidental to their stories, stood alongside them as a friend rather than driving them. It’s wonderfully refreshing to see, and it completely changes the TARDIS crew’s dynamic. And then we have “Rosa.” When the BBC began Doctor Who back in 1963, they intended the series to be educational, with the Doctor and his companions exploring significant historical events. Terry Nation’s The Daleks essentialy relaunched the series, setting it off in a very different direction, and ever since then the show has struggled to work out what to do with its historicals. “Pure” historicals – in which the time-travelers stumbled into a major event such as the French Revolution or the Jacobite Rebellion – were dropped during the Patrick Troughton era, soon replaced by more complex stories in which the Doctor discovered alien presences in history. The Fifth Doctor discovered the real reason behind the Great Fire of London; the Sixth Doctor uncovered a rogue Time Lady experimenting around the time of the Luddites. That trend continued into the relaunched series, with the Ninth Doctor fighting “ghosts” with Charles Dickens, the Tenth Doctor discovering that there may be werewolf blood in the Royal Family, and the Eleventh Doctor teaming up with Vincent Van Gogh. But “Rosa” was different to anything we’ve seen before in Doctor Who. Indeed, its sci-fi villain – the time-traveling Krasko – was simply an excuse for the Time Lord and her friends to dive into history. The script was astoundingly historically accurate, right down to lifting some of the dialogue from accounts from 1955. The true “monsters” were the racists of the Deep South – the businessman, the cop, the waitress, and of course the bus driver. But it was all done with style and panache, and “Rosa” acknowledged that the fight against racism is still going on today. It implied that it always would be, too; after all, the villain was a white supremacist from the 52nd century. This is hardly the first time Doctor Who has allowed itself to drift into social commentary; one Fourth Doctor adventure was a searing critique of then-Prime Minister Margaret Thatcher’s government policies, for example. But this is the most sophisticated we’ve ever seen in the series, and it sees Doctor Who embracing the true power of the science-fiction genre. Science-fiction is more than escapism; it’s a genre of fiction that allows creative storytellers to hold up a mirror for the real world, giving viewers a chance to see their own struggles and issues in a new light. Doctor Who has rarely done this so effectively, and this single episode points the way to a bold new direction for future historical adventures. Where Doctor Who season 11 is heading is anybody’s guess, but it’s already clear that Chibnall is doing a lot more than increasing representation. He’s rejuvinating the show’s formula, while making it truly in the spirit of everything that’s come over the past five decades. More: Doctor Who: Who Is The Timeless Child? Doctor Who season 11 continues next Sunday with “Arachnids in the UK” on BBC One and BBC America.